U.S. President Barak Obama was the most expected speaker at the ongoing World Travel and Tourism Council (WTTC) summit in Seville today. More than 1500 CEOs, association presidents, ministers of tourism, and heads of state were attending the summit, and hundreds of viewers from around the world were watching the live video stream of the summit, also announced by this publication. Many who saw the eTN announcement in Hawaii were up at 2:00 am in the morning to listen in. A loyal group of fans of the former president was in for a big disappointment when without prior warning the video live stream was stopped during the president’s address. The feedback eTN received from people in the audience listening to Obama’s conversation was not really great. The money spent by WTTC to get some advice from the most popular head of state was disappointing. There was no substance in the presidents’ talk was some feedback. His talk about his love for hiking when he was young was not relevant to the needs top executives were hoping to hear. The challenges, needs of the second largest industry was not mentioned. There was no word about equality and dangers LGBT tourists face in countries like Brunei. President Obama arrived in Seville at midnight before the event and spent the night at Hotel Alfonso XIII, drawing attention from local residents and the press. In 2016, a scheduled visit by Obama to the Andalusian capital was canceled due to a shooting in Dallas. He visited Reales Alcázares, a UNESCO World Heritage Site in the morning before returning to his hotel. He left again at 2 pm for Palacio de Exposiciones y Congresos, which is hosting the international event on April 3 and 4. After meeting privately with around 50 summit attendees, Obama delivered his short address to WTTC delegates. After his speech, Obama was scheduled to meet with Spanish Prime Minister Pedro Sánchez for around 20 minutes inside one of the center’s private rooms. It will be their second one-on-one after their meeting last year in Madrid. Although this is Obama’s first trip to Seville, he has ties to the city because his daughter Malia lived there for a few months. 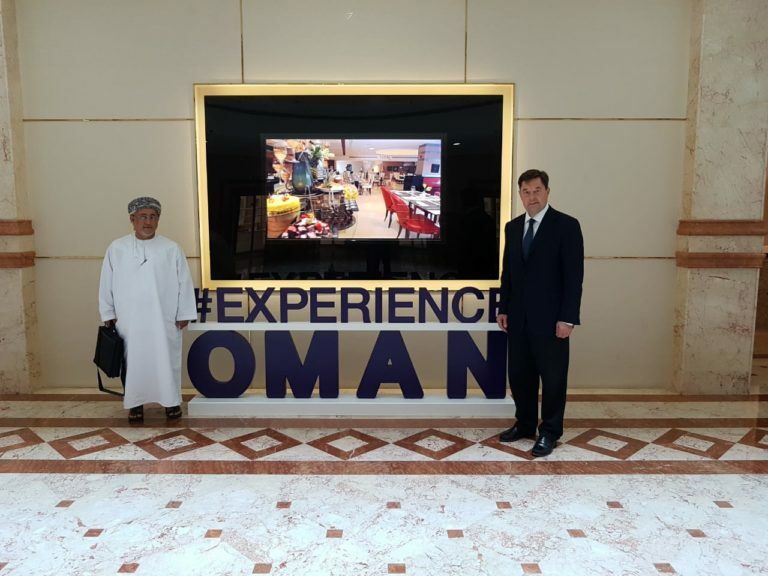 It appears the implementation of the National Tourism Strategy of Oman is in excellent hands. Last week Carlos Vogeler started a two-year contract with the Ministry of Tourism of Oman, where he is now leading a team that will support Minister Ahmed bin Nasser Al Mahrizi and his team on implementation. Carlos Vogeler was considered by many leaders as one of the most influential executives in the travel and tourism world when he served as the executive director of UNWTO under Secretary-General Taleb Rifai. Together with Korean Ambassador Dho Young-shim, Mr. Voegeler was a candidate for UNWTO Secretary-General in 2017. Mr. Vogeler was with the World Tourism Organization for 9 years. He was honored on November 29, 2017, at the UNWTO Conference on Jobs and Inclusive Growth in Montego Bay by the Hon. Ed Bartlett, Minister of Tourism of Jamaica. Before Mr. Carlos Vogeler joined UNWTO in 2005 he was a tenured professor at University “Rey Juan Carlos”, Madrid, at the Dpt. of Business Economics, a regular lecturer at Spanish and International Universities and author of various university textbooks, as well as numerous articles on international tourism structure. From 1991 to 2008 he served in various senior management positions at Group RCI, part of Wyndham Worldwide, one of the world’s largest hospitality groups, quoted in the New York Stock Exchange, where he was Managing Director for South-Western Europe, covering Spain, France, Portugal and Benelux and later Vice president of Global Account Strategy & Industry Relations. He was elected Chairman of the Affiliate Members of the World Tourism Organization (UNWTO) from 2005 to 2008, representing Group RCI. Since 1997 he had been serving as Vice President of the board of the Affiliate Members and Chairman of the Business Council and member of the UNWTO Strategic Group. He is also a founding member of the Spanish Association of Experts in Tourism (AECIT) and was a member of the International Association of Experts in Tourism (AIEST). Carried out his studies in Canada and in Spain, graduating in Tourism Business Administration by “Escuela Oficial de Turismo de Madrid” (now University Rey Juan Carlos) and post-graduate by the IESE Business School, of the University of Navarra – Spain. Mr. Vogeler was born in Venezuela of Spanish mother and Venezuelan-German father and is a national of Spain and Venezuela. Evelop Airlines operates an all Airbus fleet of one A320-200, one A330-200 and three A330-300, and now the first of two A350 XWBs. Evelop Airlines, the Spanish carrier of Barceló Group’s Ávoris travel division, has taken delivery of a A350 XWB. The second aircraft will be delivered in 2020. The A350-900, on lease from Air Lease Corporation, will be based at Madrid Barajas – Adolfo Suárez airport and deployed on long-haul routes to Caribbean destinations. The wide-body aircraft accommodates 432 passengers. At the end of February 2019, the A350 XWB Family had received 852 firm orders from 48 customers worldwide.